In a small church their voice and impact are large. 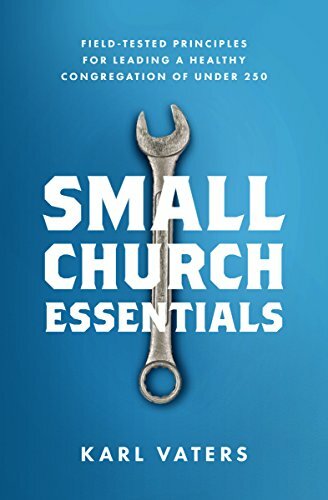 Small church pastors must resist the temptation to be drawn into a battle with them. That makes complainers dig in harder – and start recruiting. Here are 10 principles that have helped me reduce the impact of chronic complainers. And sometimes turn their negatives into positives. Not all complainers are chronic. Sometimes they’re right. It can be hard not to automatically discount the concerns of people who complain a lot. But when their complaints are valid, they should be taken seriously. Are you sure the complaining church member is the guilty party, not the stubborn pastor? At the very least, it could be both. If you're always fighting off complainers, take a closer look at yourself. You may discover it's not them, it's you. People in a small church want to know more about the church’s everyday business than people in big churches do. If they think vital information is being withheld, they get suspicious. And suspicious people become complainers. You know the old saying that something is on a “need to know” basis? Today, we should assume that everyone needs to know everything. Unless there's a specific reason not to tell them, we need to be generous in what we tell people. It’s almost always better for people to know too much than not enough. A transparent leader is a trusted leader. And a trusted leader hears fewer complaints. Having the occasional complaint neither qualifies or disqualifies someone from leadership. But being a chronic complainer should disqualify them. It’s dangerous, unwise and unbiblical to tell a chronic complainer, “Okay, fine! If you think you can do it better, give it a shot! You’re in charge now!” No matter how frustrated we get. No ministry can stay healthy if it's led by a chronic complainer. “Just give them what they want!” never works. It may seem like the easy way out. But it never is.